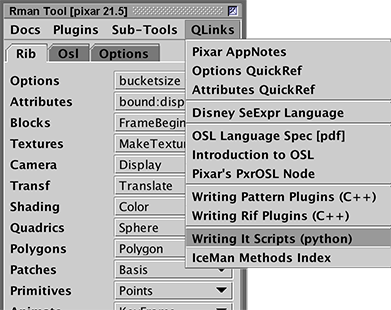 A quick link to Pixar's Introduction to "it" Scripting has been added to Rman Tools. 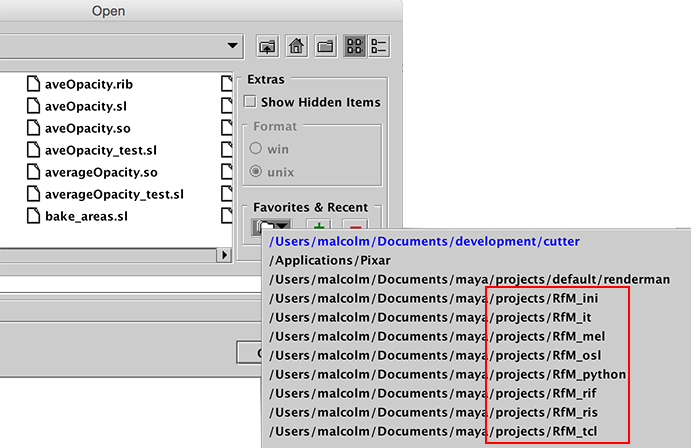 If either the MAYA_APP_DIR or the MAYA_USER_DIR environment variable have been set and the user has followed the suggestions on how to customize RenderMan for Maya Cutter will automatically add the following directories to it's list of "favorites" in the open file dialog box. 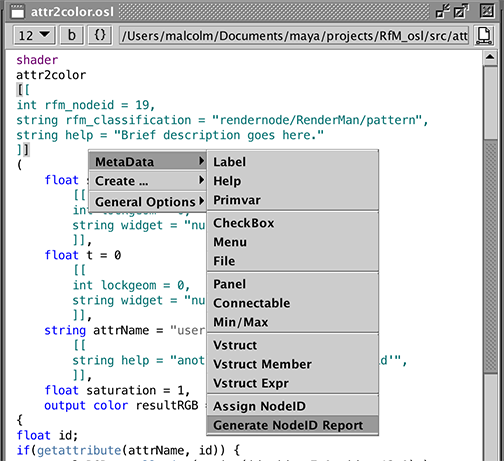 Improvements have been made to the information generated by Cutter aboutn the "rfm_nodeid" and "nodeid" values that are used by custom .args files and OSL shaders. 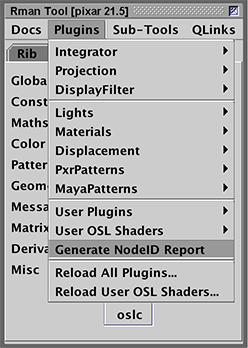 A report can be generated by the popup menu when editing either a .args file or the source code for a OSL shader - sample report. 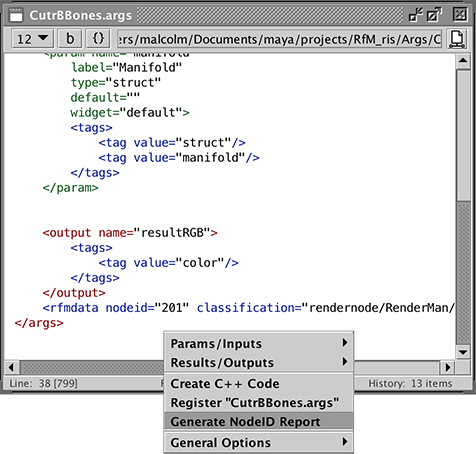 A report can also be generated using the Rman Tools window.